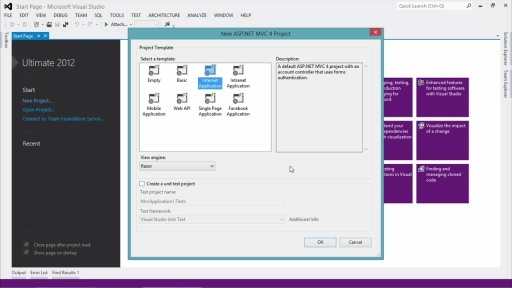 This module describes what's involved in working with MVC models and working with data. Great stuff, good series so far- personally I think it's a bit slow paced, hard to keep attentive. Will be watching them all though to fill in knowledge gaps. Very useful stuff. But took lot of time to buffer. i will download it some day. To the instructor, please don't say "Yep" in the middle of an explanation by your host since it breaks my focus and concentration. It's like being chopped every time. :) Otherwise, the show is fantastic! This video is a bit too keen to get into EF, sure EF works nicely with MVC, but it I don't use it and it isn't a key part of MVC so should come in a later video. For example the virtual bit lost a few people I can tell. Keep it simple to start with. I would have preferred more discussion about simple models, model binding to JSON data, HTML post data etc. There's lots of slick stuff going on. But not everyone uses Annotations and they are a feature I'd introduce once the basics have been covered since they rely on using a View rather than returning JSON. Maybe what I am trying to say is more focus on JSON. No mention of globalization of those Data Annotations? Thanks you, it's a very usefull series. Where can i find the slide and source code, please ? Where can I get a list of all the data annotations options? Thanks!